Microsoft has announced that Windows 10 will include two-factor authentication, commonly known as 2FA, as default. A blog post published by Jim Alkove, who leads Windows' Enterprise Program management team at Microsoft, shed more light on other security features which will be available on any device running a business version of Windows 10. 2FA is an enhanced security solution already used by the company for some services (e.g. for some administration tasks on your Windows account) and uses the user's smartphone as a remote smartcard. Microsoft used the authentication standards from the FIDO Alliance to deliver an interoperable, open, industry-backed solution. Microsoft also intend to protect user identities by storing user access tokens in a secure container that runs on top of Hyper-V technology and is isolated from the rest of the OS. 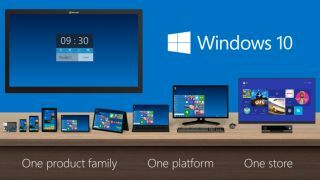 Windows 10 will also offer a data loss prevention solution based around the containment solution that will allow users to separate their corporate personae from their non-work ones. Other features discussed include super-charged VPN capabilities as well as threat resistance techniques that can be implemented by businesses themselves.